As the capital of Georgia, Atlanta offers tons of activities and events, historical landmarks, and some of the best dining around. The city was established in 1847, and it is frequently referred to as the Gate City thanks to its significant role as an international hub. While the city suffered considerable setbacks in the wake of the Civil War, Atlanta has become one of the most visited cities in the South. One of the best landmarks in the area is Martin Luther King, Jr.’s childhood home. This National Historic Site receives many visitors every year because of his role in the Civil Rights Movement. The home is carefully preserved to show how one of the world’s most important activists and thinkers lived in his early years. 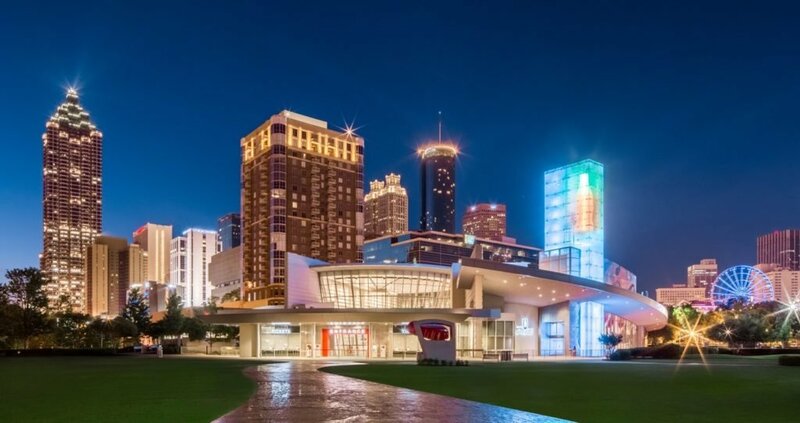 Additionally, many visit the World of Coca-Cola to learn more about the history of the brand that got its start in Atlanta. This world-famous soft drink company is known for its advertising campaigns as well as its famous recipe. Finally, stop by the Civil War Museum to learn more about the city’s role in the war. You can see a diorama of the Battle of Atlanta and see special exhibits on the post-war reconstruction era as well. The National Center for Civil and Human Rights is also not far away. The Atlanta Botanical Garden, located near Piedmont Park, receives thousands of visitors every year. You can also stop by the Zoo Atlanta in Grant Park to see more than 1,300 animals representing a whopping 220 species. Additionally, the famous Dogwood Festival, Atlanta Film Festival, and Music Midtown events are held throughout the year. The city is also known for its cuisine, including Southern dining. You can find seafood, corn on the cob, chicken and dumplings, and Brunswick stew. Fried chicken and cornbread are staples, as well as peaches and peanuts. A bowl of Grits is a must, though barbecue is also popular among many foodies. At Carriage Nissan, we’re proud to serve the Atlanta, GA area. There’s something for everyone in this city, and its rich heritage and eclectic cuisine draw large crowds of tourists every year. There’s no place quite like Atlanta.